Louisiana’s Supplemental Course Academy/Course Choice (formerly Louisiana Virtual School) incorporates open educational resources and licensed digital educational tools that engage students in a technology-rich environment. 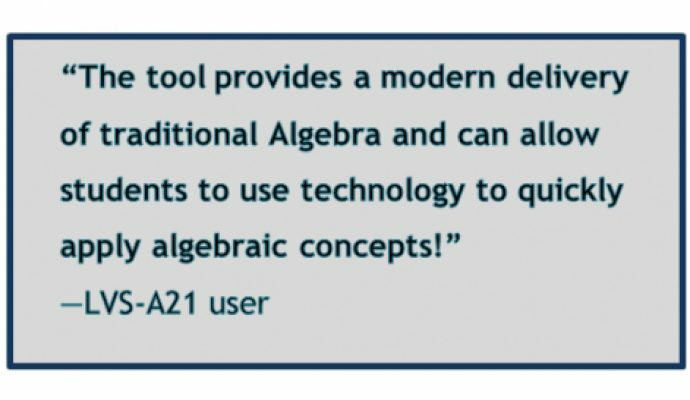 The interactive materials and modules of Louisiana Virtual School – Algebra for the 21st Century (LVS-A21) give students an in-depth overview of algebraic concepts, explaining them in easy-to-understand terms. It provides special activities and examples that specifically address the Common Core State Standards. Students experience online learning, studying at an individualized pace and deepening their understanding of complex mathematical problems. The modules added to the existing Algebra 1 online course address the standards within Interpreting Categorical & Quantitative Data (ID) of Statistics & Probability. The Syllabus Alignment document identifies specific standards for each unit lesson. 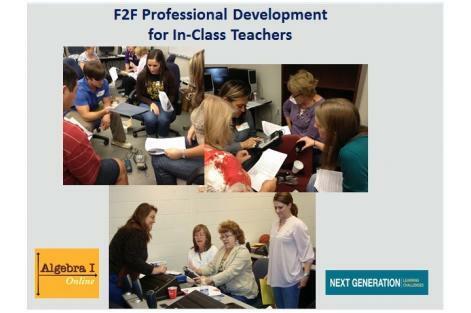 The grant provided necessary funding for the development of technology-enabled LVS-A21 modular content and the provision of professional development on the effective use of LVS-A21 resources in the classroom. 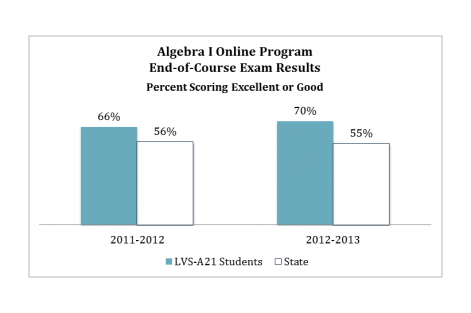 The activities that were developed by grant funds and added to the existing Algebra I Online course enriched the course's modular content and will be made available to the public via the Louisiana Department of Education’s Teacher Support Toolbox. 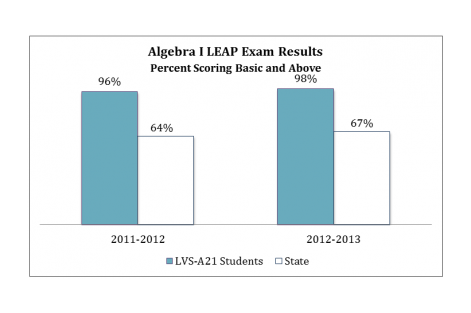 By Legislative action, the Louisiana Virtual School (LVS) ceased operation following the 2012-2013 school year and transitioned to the Supplemental Course Academy/Course Choice.